An estimated 3.6 million illegal immigrants in America were brought here as children — a stunning figure more than three times higher than one commonly used in the contentious political debate over the fate of so-called Dreamers, USA Today reported. 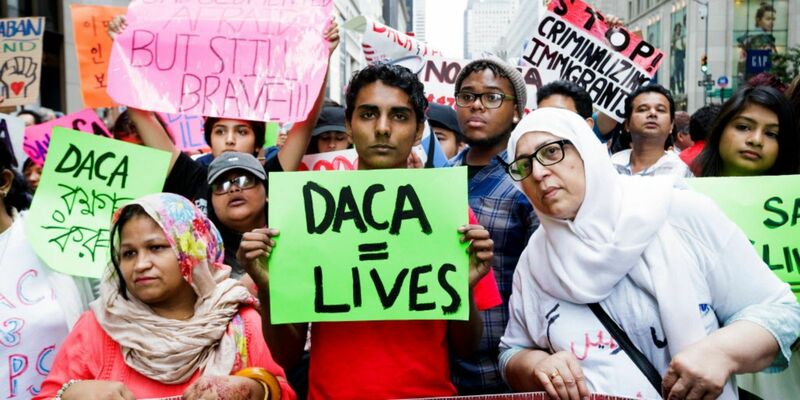 The larger number isn’t widely known because so much attention is currently focused on the 800,000 immigrants protected by the Obama-era Deferred Action for Childhood Arrivals (DACA) program — and terminated by President Donald Trump last September, the outlet noted. Yet even though politicians toss around the terms “Dreamers” and “DACA” interchangeably, “that’s not a distinction without a difference,” House Minority Whip Rep. Steny Hoyer, D-Md., told USA Today. Mark Krikorian, executive director for the Center for Immigration Studies, which favors lower levels of immigration, disagrees. Cecilia Muñoz, the former domestic policy director for President Barack Obama, said the 2012 executive order could only go so far protecting Dreamers, and now that Congress is involved, more migrants brought here as children should be given the same protection. According to USA Today, several legislative proposals protect different numbers of Dreamers, with the most generous, introduced by Rep. Luis Gutierrez, D-Ill., providing legal status to 3.5 million Dreamers, excluding only a small group who pose public safety threats. The most restrictive proposals would provide legal status only to the 798,980 people approved for DACA.